With the official announcement of commencement of Ramadan fast by the Sultan of Sokoto and President of the Nigeria Supreme Council for Islamic Affairs, His Eminence, Alhaji Saad Abubakar, following the sighting of the new moon, the Corps Marshal of the Federal Road Safety Corps (FRSC), Dr Boboye Oyeyemi has congratulated the Muslims on the commencement of the spiritual exercise, saying it calls for sober reflection and the need for observing safety during the period. 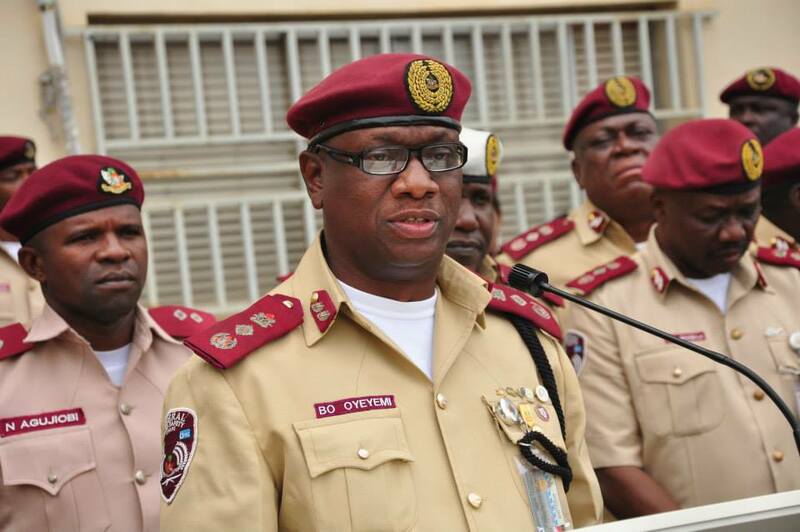 According to Bisi Kazeem, Corps Public Education Officer, FRSC in a press release, Oyeyemi in his solidarity message to the fasting Muslims, emphasised the need for them to use the period of the Ramadan fast to reflect on issues of road safety and security of lives. He called on all road users to avoid acts capable of exposing their lives to danger, saying such acts run contrary to Islamic injunctions. He particularly appealed to the Imams across the country to make issues of road safety part of their regular sermons during the period of the fast, saying road safety is a collective responsibility. “As Muslims across the country commence the Ramadan fast today, I enjoin all road users to rededicate themselves to issues of road safety and avoid any action that could undermine their lives while using the road,” he stated. Oyeyemi also restated the commitment of the FRSC to promoting safer road environment during the period through more aggressive enforcement and public enlightenment programmes, assuring all road users that members of the Corps would be available at all strategic points to effectively manage traffic, especially at the close of office hours when people would be rushing home to break their fast. He therefore, solicited the cooperation of members of the public to ensure that the roads remain free and safe for all. “As usual, our call centre would remain open 24 hours everyday, while the rescue teams are at alert to receive distress calls in cases of emergencies, road obstructions and traffic crashes that require immediate rescue and prompt attention through our emergency telephone number: 122,” he further stated. It would be recalled that following the announcement of the sighting of the new moon of Ramadan by the Sultan of Sokoto on Wednesday evening, Muslims in the country are expected to commence the Ramadan fast on Thursday.